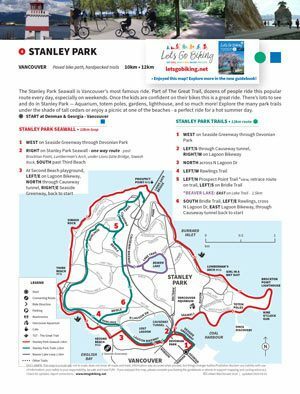 Stanley Park – Let's Go Biking! 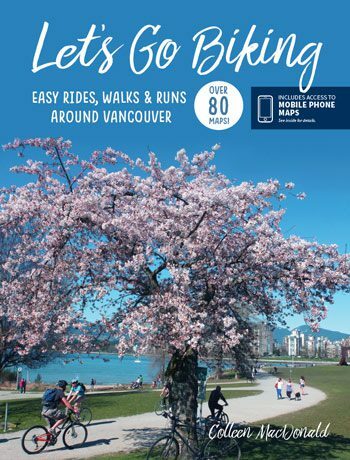 Stanley Park – Let's Go Biking! 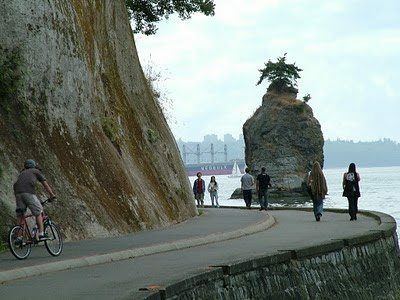 The Stanley Park Seawall is Vancouver’s most famous ride. 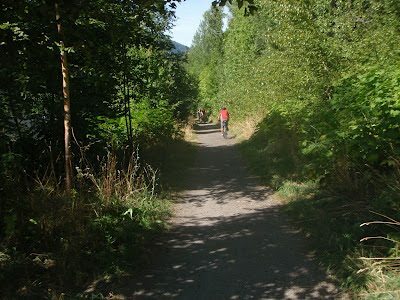 Part of The Great Trail, dozens of people ride this popular route every day, especially on weekends. 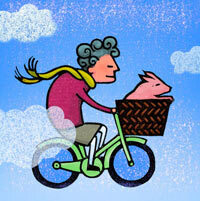 Once the kids are confident on their bikes this is a great ride. There’s lots to see and do in Stanley Park — Aquarium, totem poles, gardens, lighthouse, and so much more! 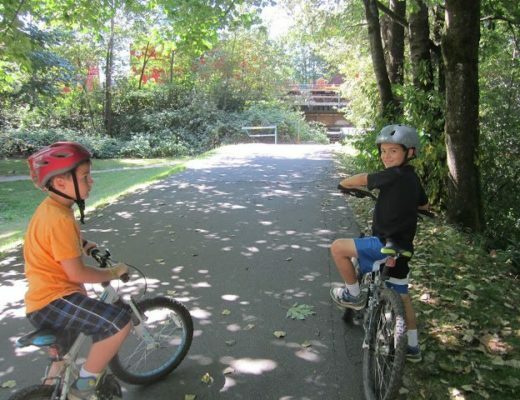 Explore the many park trails under the shade of tall cedars or enjoy a picnic at one of the beaches – a perfect ride for a hot summer day. 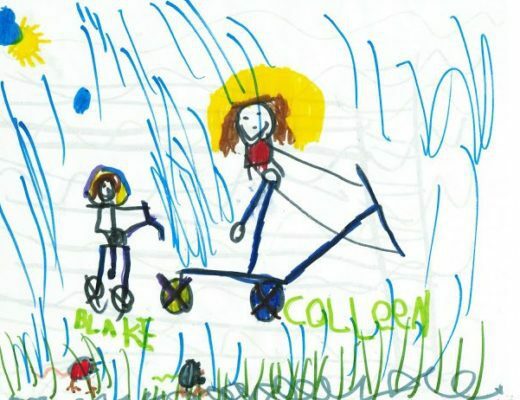 Riders at Second Beach – take a dip in the oceanside pool or enjoy the swings at the playground. 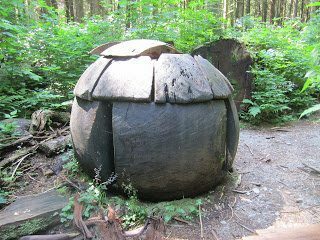 Art on the trails…keep your eyes open!